IBM’s Day of Service celebrates the numerous ways IBM members, from employees to executives, contribute to making society better as a whole. IBMers donate not just their time, but their professional skills, making a meaningful impact in the communities where they work and live. During the company’s Centennial year, 300,000 IBMers around the world – close to three quarters of its global workforce – volunteered in more than 5,000 projects in 120 countries, meeting civic and societal challenges and serving millions in need. Ogilvy New York approached B-Reel to help highlight the breadth and impact of their dedication to service over the years through a film released the day before their 100th birthday. B-Reel worked with Black Swan to design a package that cohesively tied archival footage and photography spanning one hundred years with interviews conducted over the month before the films release(and up to the day before). 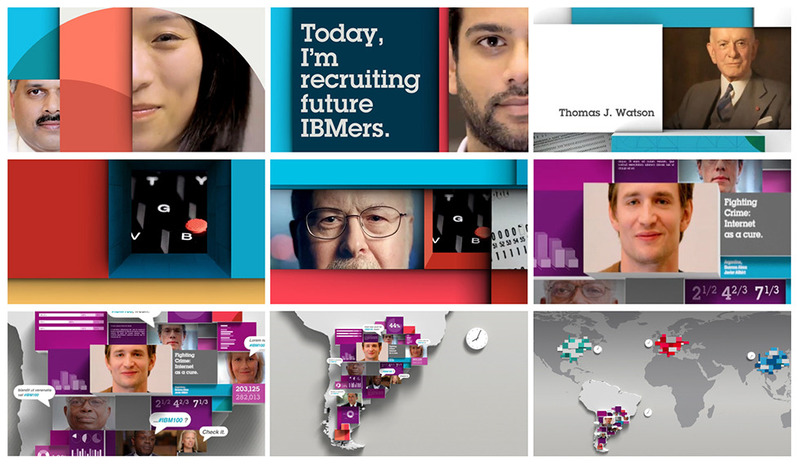 We developed an approach that would allow IBM to feature four main projects on four different continents, and link them to each other via images, video, and social media elements provided by IBMers worldwide to create a sort of snapshot of Day of Service projects happening concurrently across the globe.